Happy New Year everyone. 2010 seems off to a great start with Sony announcing a line-up of new Blu-ray Disc players and BD Home Theater Systems that nearly all include SACD. if the model features the new BD player then they should support SA-CD. See the complete overview here. The preliminary informal answer we've got is that "they will deliver whatever the amplifier can handle" i.e. can output DSD as well as PCM. We're waiting for the confirmation. i.Link for SACD we can probably consider phased out and replaced by HDMI. For jitter reduction, Sony's got HATS which is reportedly compatible with Pioneer's PQLS -- on HDMI. yes indeed. But it needs HDMI 1.3 for that though...which my receiver doesn't have :/....hate it how you always have to upgrade, with digital standards....so for me, if one day I feel like upgrading to "jitterless" (not that it's a huge priority lol), I think I'll get an i.LINK-equipped player. I know one day I will . You could look for a Sony SCD-XA9000ES SACD player. It's made to match with the Sony STR-DA9000ES AV receiver but it should work with your AVR too. Although they're surely based on a different platform than the BD players announced last month, I had more or less expected Sony's new range of BD recorders (BDZ- RX105/RX55/RX35/RS15) announced today to feature SACD playback, after all these are for the Japanese market, but the article makes no mention of it (nor "SA-CD"). Ah that' way out of my price range.....unless i mean one day i can afford something that good . But there's not much point really, since digital is digital and it's a waste of money paying for amazing DACs when I only use my amplifier(s) for the DACs. 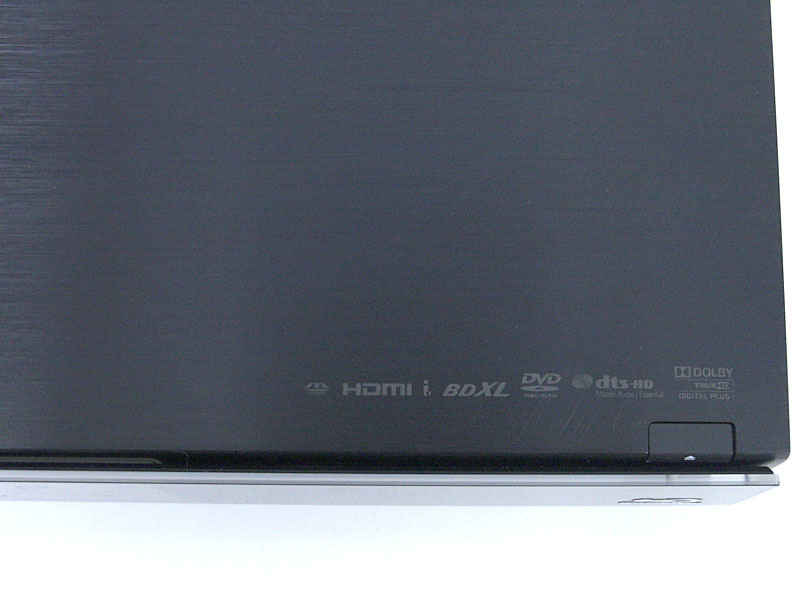 So I'd settle with something more like a Denon DVD-2910 which has i.LINK and would do my purposes fine . ... I'd settle with something more like a Denon DVD-2910 which has i.LINK and would do my purposes fine . It's available in silver and black (currently: used from $99). We just received confirmation from Sony about the 2010 Blu-ray Disc player range and DSD Disc format, and as it turns out they're currently not compatible. That may come as a bit of a surprise after getting this feature on PS3 and especially the SCD-XA5400ES. Who knows what the future holds? Perhaps a firmware upgrade will do the trick? After all, also PS3 only got this feature with system software update v1.60. Half a year later, a new range of BD recorders for the Japanese market (BDZ-AX2000, BDZ-AX1000, BDZ-AT900, BDZ-AT700, BDZ-AT500, BDZ-AT300S) but still on a platform that doesn't support SACD, apparently. The only new formats here are Blu-ray 3D and BDXL (the 100GB recordable disc). HDD capacity has gone up to 2TB. Coverage here and here. Picture found here. 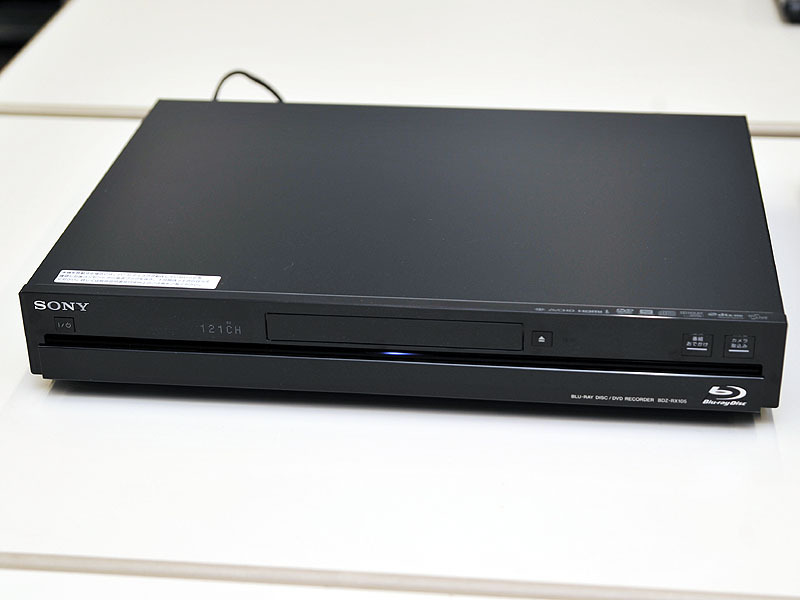 Yesterday at their IFA press conference Sony (Europe) has shown this new -- likely 'budget', judging by the design and for instance the lack of a display -- Blu-ray Disc player: BDP-S185 and BDP-S186. Press release here; High-resolution picture here. So no SACD. No Blu-ray 3D either, by the way.